Love the forum & website. I care for Hedgehogs, I have 5 in my care right now. 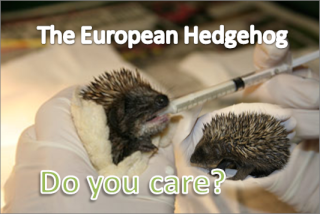 I'll tell you a bit about them on the Sick and injured Hedgehog section. I have been caring for Hedgehogs for 3 years now, it's not an official hog rescue, but I'm getting there. I will go have a read about the prickly friends yo have with you.